I had intended to write a Newfoundland diary, but the onslaught of beautiful rocky coasts, wildflowers and butterflies, fragrant forests of balsam fir, moose and caribou, seabirds, icebergs, quaint fishing villages, lighthouses, Paleoeskimo archeology, world renowned geological sites, challenging hikes with gorgeous views, tundra, friendly people, widely divergent regional dialects, and more has distracted me. This is beginning to look more like a five-day report, maybe a quinquery? Even now, I feel that I’m just highlighting a few of many rich experiences. It wasn’t just the overload of rich experiences. The problem began on the first full day. 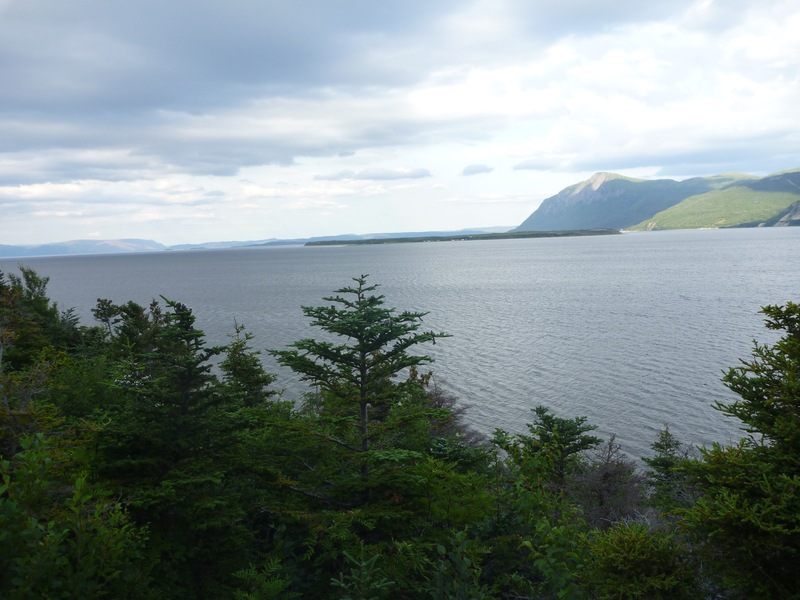 We had arranged to stay in a cabin in York Harbour, on the central west coast, not far from Corner Brook. The cabin was on the seacoast, with a view of mountains and islands. That would have been difficulty enough. 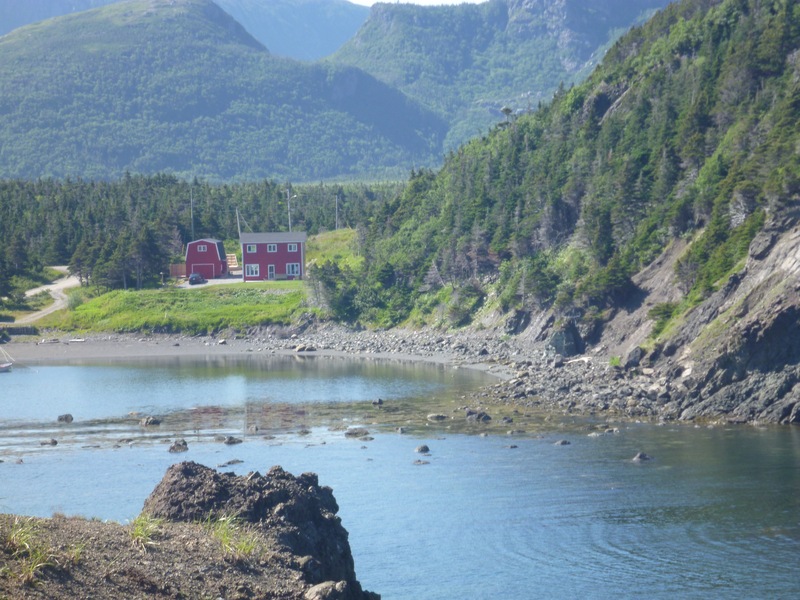 However, the next day we ventured to Bottle Cove. It’s a fishing village with a population of just 10 people, but deservedly has its own Wikipedia entry. Two of those ten were very good friends who welcomed us with treats, including cheeses and homemade beer. The cove is aptly named, given its narrow mouth, but apparently it’s actually an Anglicization of the French bateau, from its days as a French fishing village. The surrounding terrain is part of the Appalachian Mountains. That’s the justification for including the trails in the area in the International Appalachian Trail system. 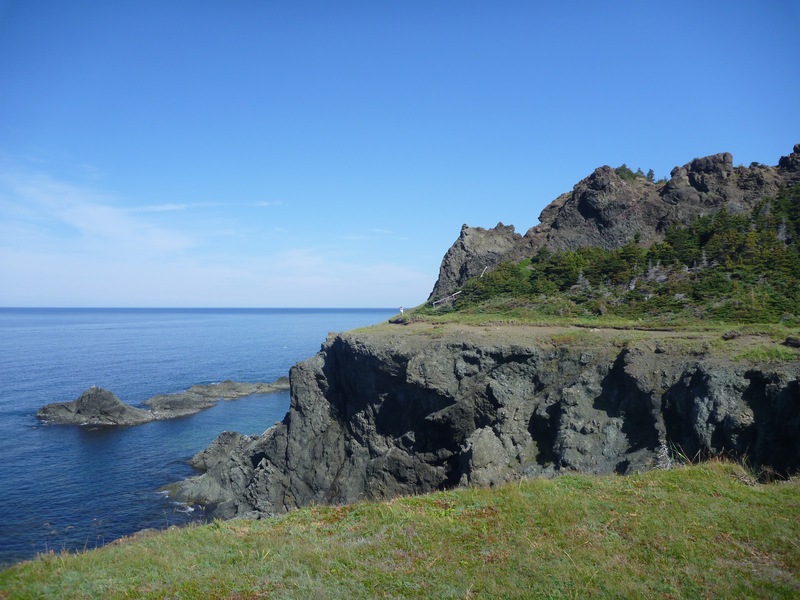 We had a beautiful walk to the headland named Trail’s End by Captain Cook, when he first explored the area. The trails are suffused with wildflowers, beautiful mushrooms, and interesting rock formations. The rocks are mostly ophiolites, meaning they came from the oceanic crust and the upper mantle of ancient seas. They were uplifted and exposed above sea level, often on top of shale and other continental crustal rocks. A prevalent and striking example are the green serpentinites. We saw them in walks around Bottle Cove and also at the nearby Cedar Cove, another beautiful, but quite different formation. 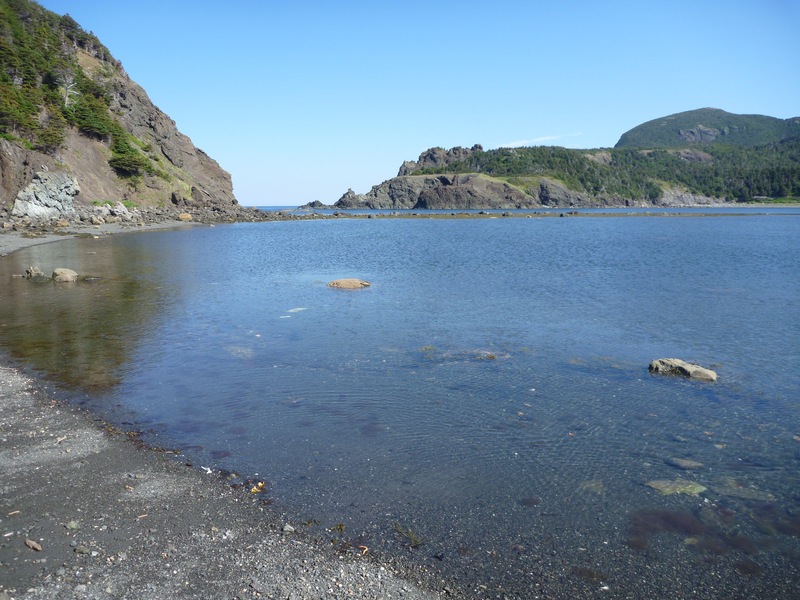 After a day in the Bottle Cove area I was in a mixed state, exhilarated from the beauty and good experiences, but depressed by the thought that everything to come would be a let-down.